Attempting to inject levity and fun into teaching kaizen. So please forgive the punning title. The factory tours I participated in last week in central Europe offered several lessons in leader standard work. We visited three companies making very different products, at different stages of maturity on the lean transformation path and yet offering a consistent learning points. The common theme was the importance and the role of leadership in successful continuous improvement. The important thing is that leadership Czechs… I mean checks based on a standard. The continuous improvement cycle that we call the PDCA cycle comes to us via Toyota, who picked it up from Edwards Deming, who in turn learned it from his teacher Walter Shewhart. By following the pan, do, check, act cycle we can continuously examine and refine any process. The PDCA cycle is embedded into kaizen, and should be part of all management and business planning, but too often the PDCA thinking at that level is weak. One of the better ways to help leaders to learn PDCA is to follow leader standard work. 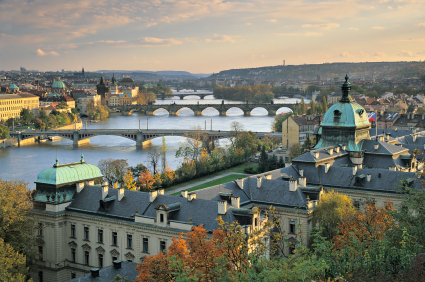 In the old town center of Prague is what they call the Orloj. 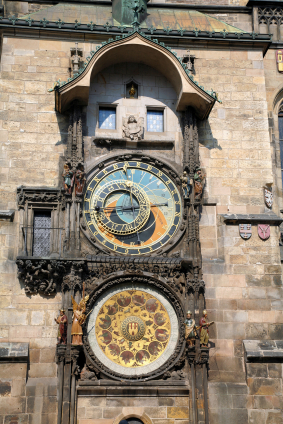 It is an astronomical clock with three main components. There is the intriguing astronomical dial which represents the position of the sun and moon in the sky as well as various symbols of the Zodiac. There is “the Walk of the Apostles”, an hourly clockwork dance of the Apostles and other statues. There is also a calendar dial with medallions to represent the months. Anyone familiar with leader standard work should have an invisible light bulb of idea generation floating above their head at this point. Leader standard work is the best way to engage leaders on a daily basis in the monitoring and support of continuous of improvement is to ask them to check. Essentially leader standard work involves performing a set of activities at certain timed intervals with the purpose of management by visually confirming the situation. In a well-run organization presumably a PLAN has been made at some point in the recent past, elements of which have been delegated to the organization to DO, so the CHECK is the natural point for leaders to revisit these plans, provide coaching or remove barriers as needed in the ACT step and modify the plan if required. The inventor of this clock was a genius who understood the need for leaders standard work of daily, weekly and monthly checks centuries ago. In the case of this clock we have hourly, daily, no apparent weekly, but also monthly and presumably other astronomy related cycles built into this clock. Some say that management is not a science, but there is no reason that management practices should not be scientific. 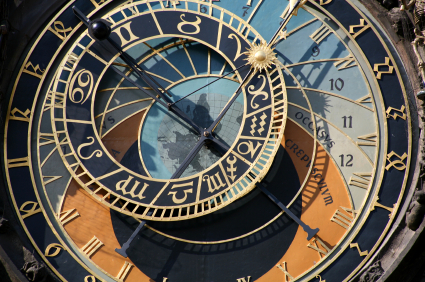 Many elements of nature provide us with the structure to manage well, such as time. The frequency, duration and nature of checks may differ but the idea of leader standard work is essentially to go see for yourself what is actually happening on a regular basis. On our tours we learned many things such as the importance of unambiguous visual controls in order to simplify and speed up the detection of abnormalities during the gemba walk, following up within 24 hours whenever an abnormality is detected and instruction or coaching is given to address the issue, and the value of teaching instead of telling: allowing people to make mistakes and learn from them, to figure things out for themselves. 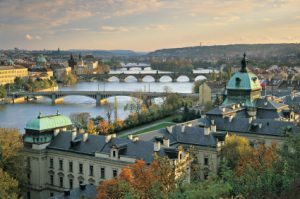 Go Czech or go check? I definitely recommend both.